Why you should really write a book | Christine Sheehy & Co.
31 Jan You should really write a book…. Last year, a book idea took up residence in my head and refused to leave. It’s like a squatter, moving furniture around in dusty, shadowy spaces, scribbling on the walls and generally making a nuisance of itself. Try as I might to dedicate my time to more conventional business activities like signing up new clients and recording modules for my upcoming programme, the book keeps invading my thoughts. It pops out of magazine headlines and drops into conversations, leaving me scrambling for a pen and a paper to jot down the latest whisper of inspiration before it gets lost in my jungle of to do lists. Is there a book skulking around in your head too? An idea that won’t leave you alone? A niggling desire to capture the knowledge and wisdom you’ve accumulated over these years, to see your name on Amazon or cascading gracefully down the spine? I know you’ve been resisting, thinking ‘who am I?’ and ‘One day’ and ‘If only I had the time’. Here’s what I know: If you wait for the ‘right’ time to magically make itself available, your book will never happen. There will always be something that could be considered more pressing or important. Even if you had a whole year free of commitments, you wouldn’t necessarily find the writing any easier. Vast tracts of empty time have a way of sucking up everything, including inspiration and motivation. We all know that busy people get things done. The only thing stopping you from starting your book, right now, is you. Don’t overthink this. Your book doesn’t have to be a weighty tome, an all-encompassing definitive guide, or a literary masterpiece. Amazon has a rich market of short, concise guides on niche topics. All you have to do is choose one thing you are really interested in and know something about – and then get to work. A book positions you as an expert – A book is a fantastic way to showcase your experience and expertise, to stake your claim as an expert in your field and to build your authority. A book is a brilliant calling card – Pitching yourself for a podcast interview or a TV spot? Why not send a copy of your book, together with an outline of points that will be of particular interest to the host? A book is a low cost offering – If a potential client can’t yet afford to work with you, you can point them to your book. For just as little as $10 or $15, they will have access to enough information to get them started. It’s also an easy upsell at your next workshop or roadshow. 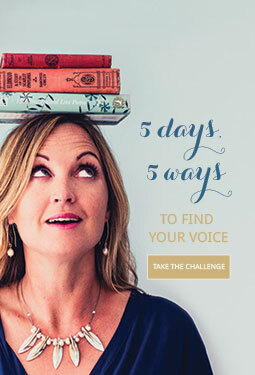 A book is a brilliant challenge – Oh yes, it will test you. There will be times you threaten to quit, times when it seems much more sensible to pour your attention into creating a course or delivering a service. But oh when it’s done, how accomplished you will feel. A book will give rise to new ideas and inspiration – Clarity comes with action, friends. The very act of distilling your knowledge onto the page will help you figure out how it all fits together. 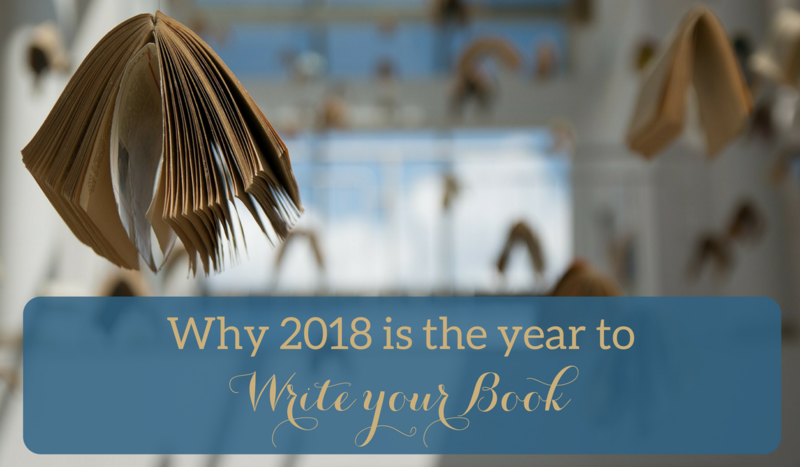 You may well be inspired to create new products or services, a new coaching programme, a new Facebook group, or a new podcast, just through the act of writing your book. A book is a way to share a powerful story – If you’ve been on a life-changing journey that will help or inspire others, writing a book is the perfect way to make sense of the experience and offer help and comfort to others. A book is quite simply, a lovely thing – There’s nothing quite like seeing your name on the cover, and knowing that the words inside are all your own. As for the pesky book squatting in my head, I’ve come to the conclusion that the only way to evict it from my mind is to clear space in my schedule and write the jolly thing. I’ve already written two successful books for a conventional publishing house, but this book is different. This book comes from my heart and I know that writing it will stretch me in 1000 different ways. Care to join me on the journey? On Monday 19 February 2018 (that’s Sunday in the US), I’m hosting an interactive Plan Your Book Workshop live on Zoom. Give me 90 minutes of your time and we’ll get that inkling of a book idea out of your head and onto the page. In this workshop, you’ll nail down your topic, create your chapter plan and piece together your book outline so you have a solid structure to work from. You’ll discover exactly what you need to do before you start writing to make the process as clear and simple as possible. And you’ll make a commitment to yourself and the group, regarding exactly how – and when – you’ll get your book done. And you can do the same for me. Click here to get all the details and book your spot. Love the squatter analogy! Nails that feeling. Yes, I agree that sometimes you need to just start writing and see what happens. Put your heart into it and it will work. Ah if only it were that easy Brynn Kelly!